What is a Quote Cart? Georges River Council is dedicated to providing vibrant public places and continually looks for ways to improve the provision of essential services to enhance a thriving creative culture. In keeping with the Council’s philosophy, Business Improvement Officer, Leo Chant, approached through Georges River Council’s procurement policy our Director of Design, Paul White, seeking information on our range of contemporary help desks, designed for today’s evolving libraries and council customer service areas. 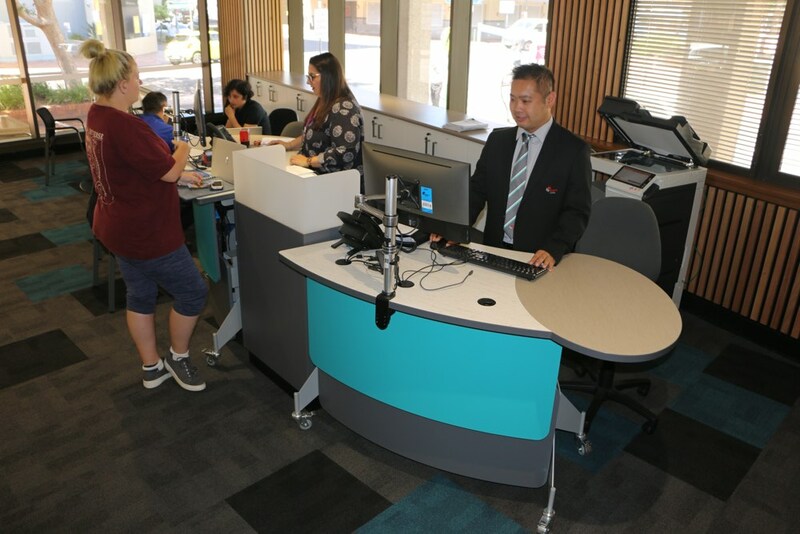 After discussions about what would best fit with the Council’s strategy, Paul suggested one of our most popular help desks, GLO 1600, accompanied by our Cash /Eftpos Module. 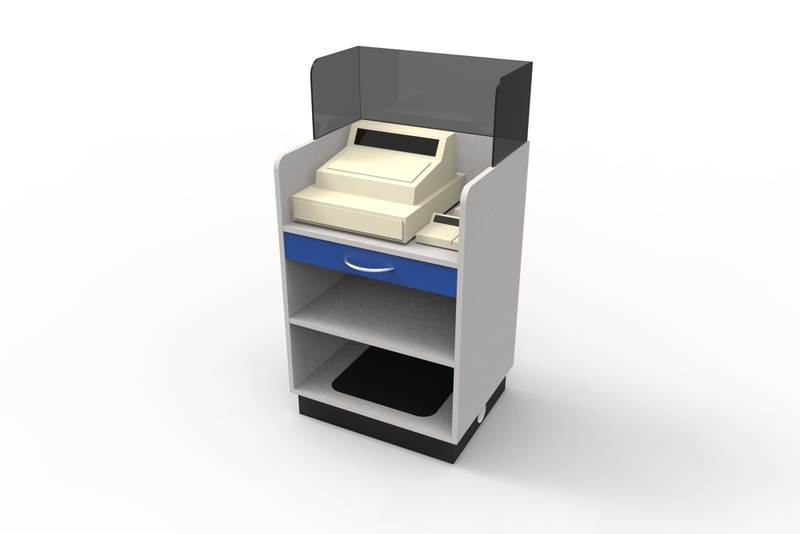 GLO 1600’s are teamed with our Cash / Eftpos Module at Kogarah Library and Service Centre. 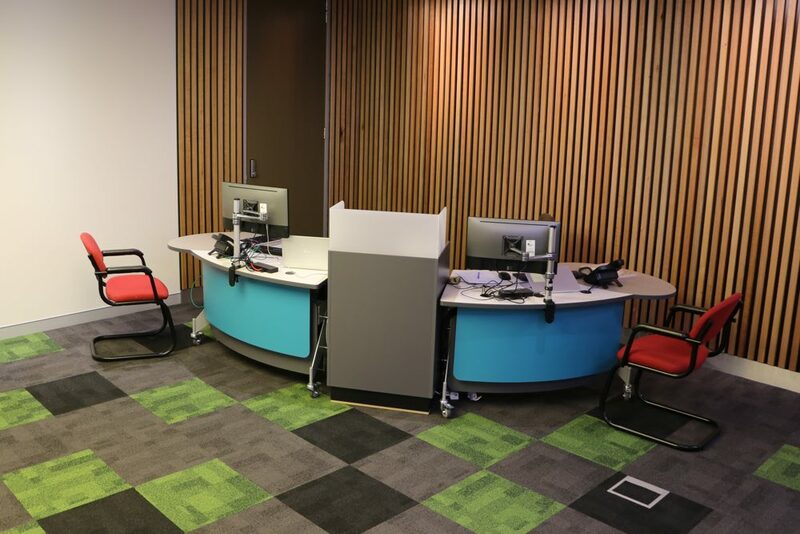 GLO 1600’s were deployed at Kogarah Library and Service Centre, providing an ergonomic and interactive platform for both council and library staff and their customers. At the Georges River Civic Centre, GLO 1600’s were also installed to form a dynamic customer services area. Four GLO 1600’s in seated and standing positions with our Cash / Eftpos Modules in between, at Georges River Civic Centre. 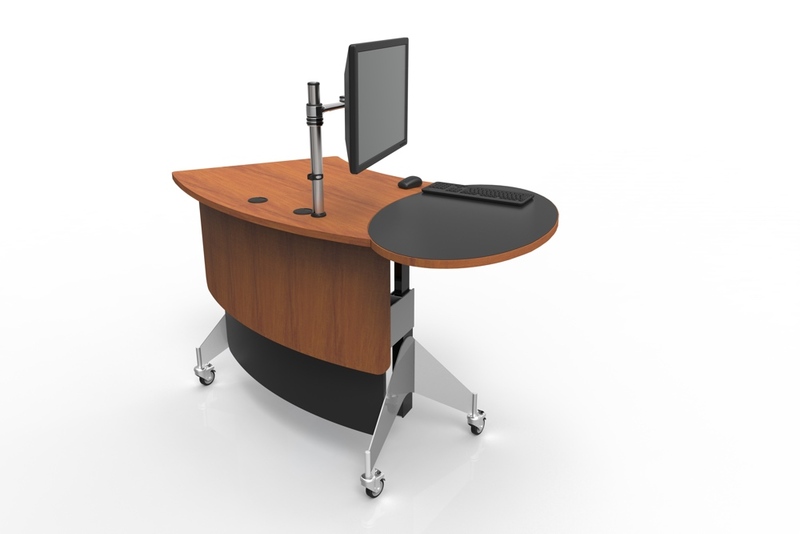 GLO successfully delivers a safe and healthy sit-to-stand work environment for staff and an enhanced experience for the customer. GLO excels as customer services points in libraries, councils and information centres, in fact anywhere staff and customers meet. GLO with its cantilevered meeting oval, provides an inviting place to be welcomed and informed, at Georges River Council. 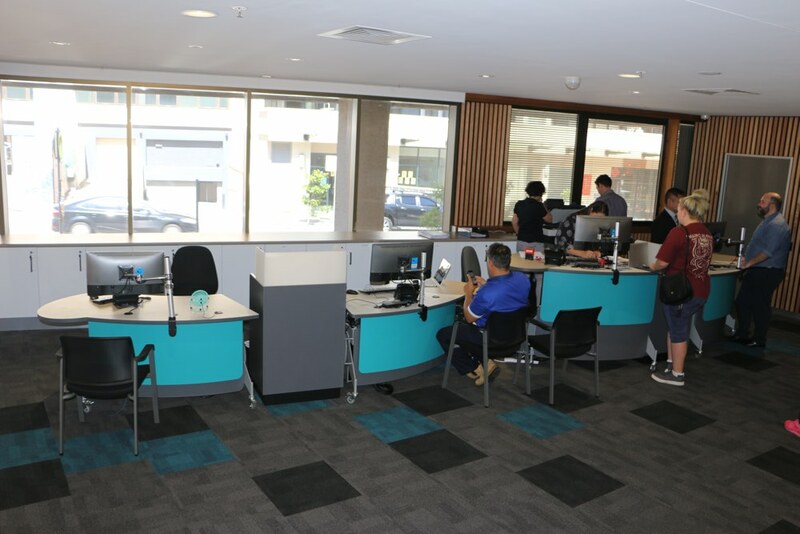 Georges River Council recently refurbished their Customer Service Centres and sought a more welcoming and efficient customer experience, with moveable customer service points to utilise the flexibility of the multi-use space. The customer service pods (GLO 1600) have modernised and enhanced the dedicated and quality services Georges River Council provide to the community. Consultation with Instinct Furniture (and the wonderful advice from Paul) helped Council to achieve the above objectives, in keeping with Council’s branding and style.